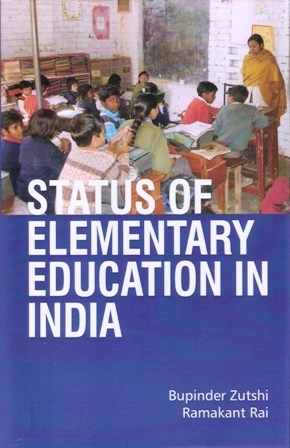 The study critically examines the current scenario of Elementary Education in the backdrop of promulgation of Right to Elementary Education. The study identifies the gaps in the process of evolving appropriate environment for quality elementary education covering all issues like financial requirements, governance, community participation, infrastructure, school enrolment and inclusive education programmes covering all marginalized communities. This study has relevance as the Right of children to free and compulsory education is being finalized and notified in the states. It is high time to take stock of the status of elementary education especially in Hindi speaking states in comparison to better performing states in elementary education. We hope the study will prove to be a useful tool for campaigners of right to education movement, academicians, political leaders researchers and other stakeholder who are working towards "Education for All by 2015. 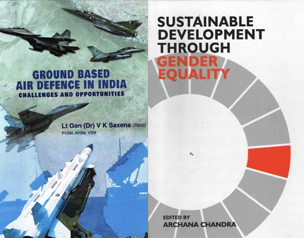 Bupinder Zutshi : Bupinder Zutshi, M.A/ M.Phil/ Ph.D, from Centre for the Study of Regional Development, Jawaharlal Nehru University, New Delhi is currently teaching at Jawaharlal Nehru University, New Delhi. He has more than 30 years of teaching and research experience at post-graduate and research level. He has taught at Utkal University, Kashmir University and Jawaharlal Nehru University. His fields of interest include population and human settlement studies, Consumer Geography, Social Issues like; child labour, child education, gender studies, disability studies and regional development. 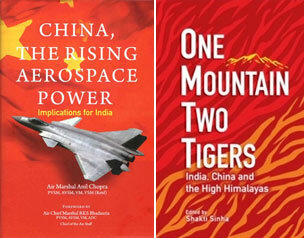 He has published five books and several research articles in international and national journals of repute. He has completed several research projects on elementary education, human trafficking, child labour, non-formal education, gender studies and disability studies. He has completed projects sponsored by UN Women (UNIFEM), UNESCO (New Delhi), International Bureau of Education (IBE, Geneva), United Nations High Commissioner for Human Rights (Geneva), Ford Foundation (New Delhi), International Labour Organization (New Delhi), the Policy Science Centre, Inc. USA (supported by the Learning and Research Program on Culture and Poverty of the World Bank), US AID, Global March Against Child Labour, National Human Rights Commission of India and Indian Council for Social Science and Research. Rama Kant Rai is presently working as a Country Convener at National Coalition for Education(NCE India), a conglomeration of four teachers unions, parliamentarians, civil society originations and academicians advocating the plight of right of children to free and compulsory education. Mr. Rai is a social activist having an experience of more than four decades in various capacities at various organizations at national and international level. He is well known in development world as a trainer, facilitator and researcher on the issues of community health, education and child Labour and Child Rights. Mr Rai has been awarded "Man of Achievement" award for his contribution on the issue of child rights and social concern on human rights. He is associated with many national and international organisations working for health, women and human rights. Mr Rai has developed a number of training modules, authored various studies and researches in the field of elementary education. He has been cited in many books and articles for his study and Public Interest Litigation in the Supreme Court of India.